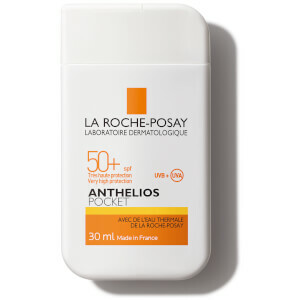 Protect and nourish your skin with La Roche-Posay Anthelios Ultra Comfort Cream SPF 50+, a lightweight but effective facial sunscreen for dry and sensitive skin. 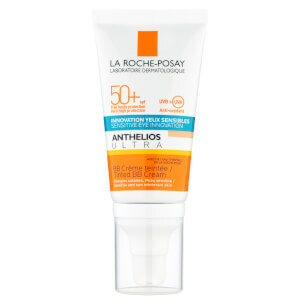 Providing broad spectrum defence against damaging UVA, UVB and infrared radiation, the moisturiser feels ultra-comfortable on skin and helps to soothe irritation, inflammation and prickly heat. Water-resistant and non-greasy, the sun cream also contains the brand’s exclusive Thermal Spring Water, which is packed with natural ingredients to help replenish hydration and restore radiance for a healthy, protected complexion. Free from preservatives, parabens, colorants, fragrances and lanolin. Hypoallergenic and non-comedogenic. Apply the sunscreen product just before exposure. 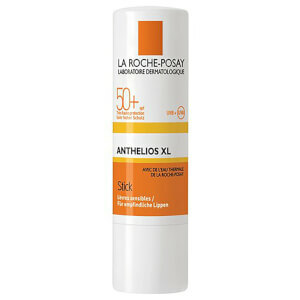 Reapply frequently and generously to maintain protection, especially after swimming, perspiring or towelling. Aqua / Water, Diisopropyl Sebacate, Glycerin, Bis-Ethylhexyloxyphenol Methoxyphenyl Triazine, Alcohol Denat., Propanediol, Ethylhexyl Salicylate, Ethylhexyl TRIAZONE, C12 – 22 Alkylacrylate/Hydroxyethylacrylate Copolymer, Drometrizole Trisiloxane, Butyl Methoxydibenzoylmethane, Aluminum Starch Octenylsuccinate, Silica, Tocopherol, Isopropyl Lauroyl Sarcosinate, Acrylatescopolymer, Ammonium Acryloyldimethyltaurate/Vp Copolymer, Caprylyl Glycol, Citric Acid, Disodium Edta, Scutellaria Baicalensis Extract / Scutellaria Baicalensis Root Extract, T-Butyl Alcohol, Terephthalylidene Dicamphor Sulfonic Acid, Triethanolamine, Xanthan Gum. (Code F.I.L. : C210021/1). I use this as my daily moisturiser and no skin reaction, which is fantastic, sometimes wearing foundation on top. I will certainly be making future purchases of this product. I bought this as it was recommended to me. Usually with sun creams for the face it gets in to your eyes and they water and sting all day. This cream, which is for sensitive eyes, really does work. I don't have sensitive eyes but they always water and sting with other products. This did not happen at all when using it for a week. 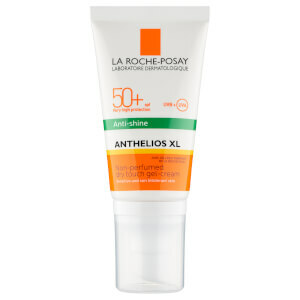 I will definitely be using this cream on my next holiday and would highly recommend it. The cover and consistency is lovely and you don't have to use too much product to protect your face.